Here’s a Jeopardy! answer the hockey world would appreciate: He’s a goalie that recently strung together back-to-back shutouts, loves this show and recently met Breaking Bad star Bryan Cranston. The question: Who is Ben Scrivens? He’s put an exclamation point on his game in 2013-14, delivering king-sized performances for the Los Angeles Kings, including consecutive clean sheets on November 15 and 17. While he might need some convincing to test out his game-show savvy on Jeopardy!, Scrivens is as confident as ever between the pipes these days. He was named NHL first star of the week on November 18 after posting a 3-0-1 record. Scrivens fashioned a 0.66 goals-against average and .977 save percentage over the four-game stretch. As for those blankings against New Jersey and the New York Rangers, Scrivens insists they were anything but one-man shows. A little luck doesn’t hurt either. “A fortuitous bounce, a shot that hits the post or crossbar and stays out, a little bit of everything needs to go your way,” said the 27-year-old. 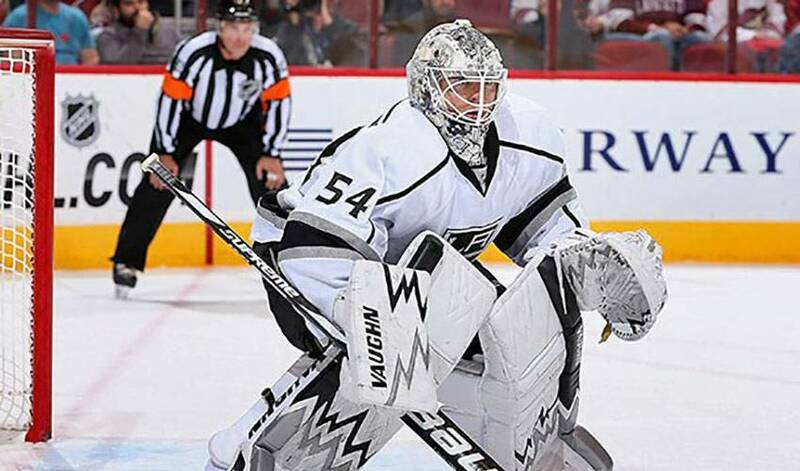 There’s no arguing Scrivens has found a winning formula. Scrivens was well aware of one inevitably after his second shutout: he was going to get scored on at some point. His streak ended at 191 minutes and 19 seconds in a 5-2 home win over the Tampa Bay Lightning on November 19. Even in defeat, Scrivens has looked impressive. He made 32 saves, turning aside several big chances in the second period, in a 1-0 in overtime loss to Colorado on Saturday night. Scrivens has little to be troubled by these days, both on and off the ice. The native of Spruce Grove, Alberta, along with his wife, Jenny, are enjoying the abundance of offerings in Los Angeles. And what about a guest appearance on Jeopardy!? Ben Scrivens shut out? Not a chance with those reflexes.